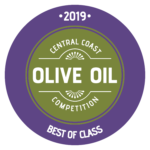 The 2018 growing season proved to be very difficult for most California olive growers, with no exception for us on the Central Coast. It was due to a very warm February followed by a series of late cold storms, quickly warming up afterward. This seemed to cause tree bloom confusion and, consequently, olive yields were extremely down. 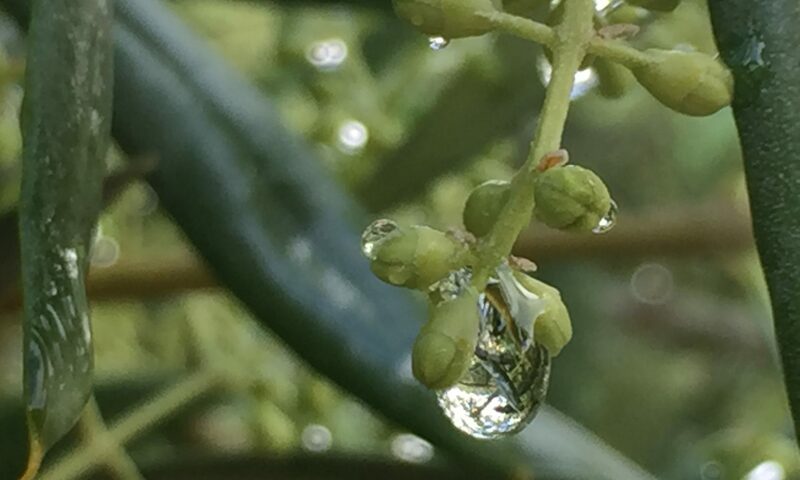 However, what little olives there were to harvest has produced exceptional oil! 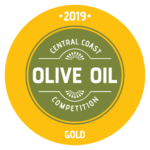 Our signature Gold winning Tuscan-style olive oil this year is a blend of only 2 varieties - Frantoio & Coratina, but we feel it is our best yet! It has beautiful balance of fruity herbaceous & black pepper. A medium-to-bold blend that is just awesome for dipping or finishing. Only 10 Gallons Produced. 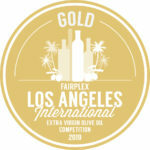 Because of limited availability, pricing is little higher this year for all California produced extra virgin olive oil. Available for purchase under the "SHOP" tab. Inspired from the ancient Roman name referring to the "Etruscans" and the origin of "Tuscany", our robust Tuscan-style blend. Remaining quantities of the 750mL size are low but still available for purchase under the "SHOP" tab! 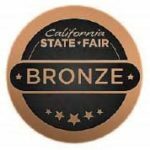 Our 2015/16 Silver & Bronze award winning Tusci Blend is the culmination of pairing 40% of our Estate Tuscan Olives (Frantoio, Leccino, Coratina, Maurino, & Pendolino) with 30% each of Solana Farms Early Harvest Arbequina & Late Harvest Mission. Flavor profile: Silky fruit-forwardness with a punch of just enough pungency & bitterness that sneaks up at the finish. Error: Error validating access token: Session has expired on Saturday, 20-Apr-19 13:55:24 PDT. The current time is Saturday, 20-Apr-19 19:42:34 PDT.